With everyone trying to gain some advantage, I suspect some will fill balance holes but not completely. Or, with what? I suspect some will fill balance holes but not completely. Or, with what? That's exactly the type of comments from others I saw flying around the internet when the rule was first announced. I'm sure that it will happen. This rule relies too much on bowlers policing other bowlers and honesty/integrity. However, for entertainment value I would love to see someone's questionably filled balance hole break apart and send whatever they tried to use as filler flying all over the place. 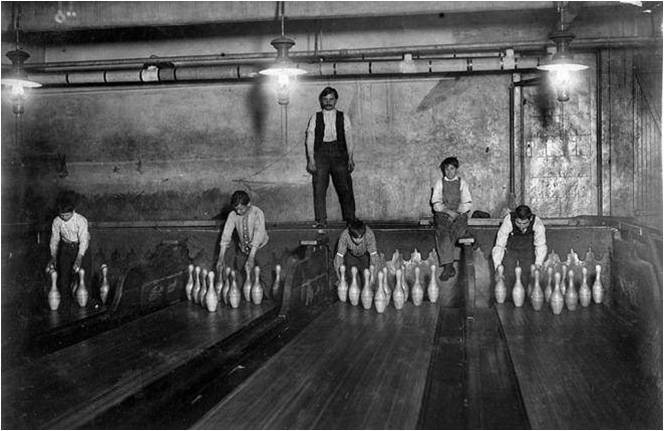 Bowling is the same. For all the oversight that will get expended by USBC, a simple time-stamp next to an existing balance hole, by a reputable pro shops would have allowed all balls to be grandfathered in for nothing. Thinking of a bell-curve, those who might be able to take advantage of the new rules are probably all at one end and why spend all the money to cheat when it only costs $10 to comply? LOL! All the balls I own that have a weight hole are in my garage. they were all asymmetrical, which I no longer use. 4 balls in my bag are all symmetrical without a hole. Was thinking, in league coming up, might want to get the officers on top of the hole issue. And, just leave it up to them. They can watch this year, and enforce next. haha, I forgot about the 2 balls that sit on rebar in the thumb and are spray painted, gold and bronze. Use as gazing balls in the garden. One's a hammer, and other is a DV8. I'm not a high speed player. The ball reads the lane differently than everything else I own. Since I started using this ball exclusively, I've only had 4 games under 200 and 24 over 200. The ball motion has really helped a lot.